When you travel from Los Angeles to Orlando, make your flight easy and fun by using Orbitz.com to find discounts on airline tickets. Los Angeles is an exciting city with a diverse culture and many interesting sites to see during your visit, including Walt Disney Concert Hall, Skirball Cultural Center, and Universal Studios Hollywood. Your flight from Los Angeles will depart from Los Angeles Airport (LAX), the largest airport in California. The airport is located at 1 World Way, about 18 miles from downtown. Los Angeles Airport serves nearly 60 airlines, including American Eagle, Delta Air Lines, Frontier Airlines, and Southwest Airlines. You can travel to the airport by taxi, bus, or hotel shuttle service. Nine franchise taxi services are available to transport you to the airport. Look for the official City of Los Angeles taxi cab seal before accepting a taxi ride. The Los Angeles County Metropolitan Transportation Authority operates the local bus system. 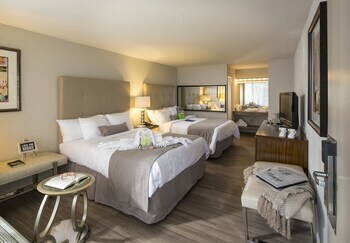 The Holiday Inn Express Hotel, Magic Castle Hotel, and Courtyard Los Angeles LAX-Century Boulevard are just a few of the 52 hotels that offer shuttle service to the airport. If you would prefer to drive to the airport yourself, both on-site and off-site parking is available. On-site parking options include 8,000 parking spaces across from the passenger terminals. Economy lot C, located at Sepulveda Boulevard and 96th Street, is free for the first two hours. Daily uncovered parking is available next to Terminal 1, on 96th Street and Century Boulevard. Passengers can walk or catch a shuttle to the terminals. Valet parking is also available in this lot. 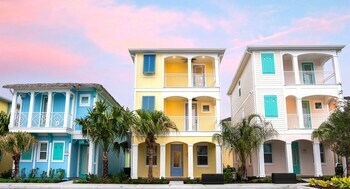 Orlando, nicknamed "The City Beautiful," is located in the central region of Florida. 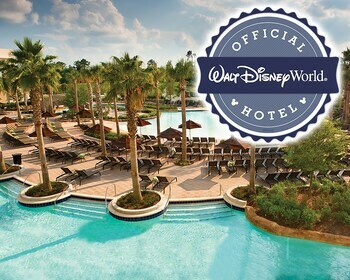 The city is best known for Walt Disney World Resort, which is located approximately 21 miles from downtown Orlando. 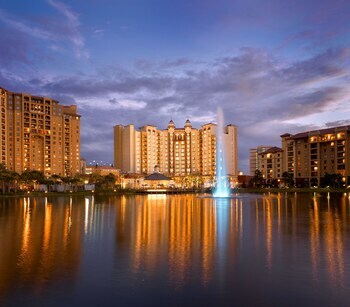 The city is also home to the University of Central Florida, the second largest university in the United States, based on enrollment. When you fly into Orlando, you will arrive at the Orlando International Airport, which is located about 6 miles southeast of Orlando's central business district. Transportation from the airport to the city is available by taxi. 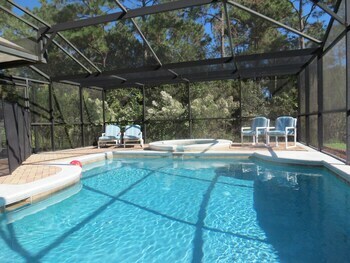 You can also visit Orbitz.com and arrange to have a rental car waiting for you when you arrive in Orlando. 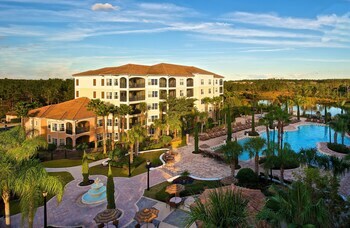 Orlando has pleasant temperatures year-round. November through March sees temperatures from the low 50s to the high 70s Fahrenheit. During the rest of the year, temperatures average from the high 60s to the low 90s, with the summer months of June through August seeing the highest temperatures. 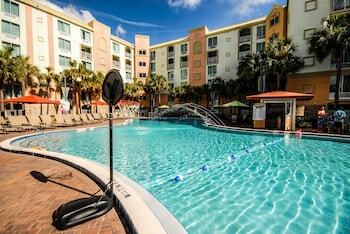 Regardless of when you decide to visit, Orlando offers lots of activities and many attractions. You won't want to miss visiting SeaWorld Orlando. Also, check out Discovery Cove and Gatorland. At iFly Orlando, you can experience the feeling of jumping out of an airplane without actually taking the leap. If you're a fan of museums, visit the Mennello Museum of American Folk Art, the Museum of Military History, and the Orlando Fire Museum. With so many domestic flights available at low fares from Orbitz.com, it is easier than ever to travel from Los Angeles to Orlando. 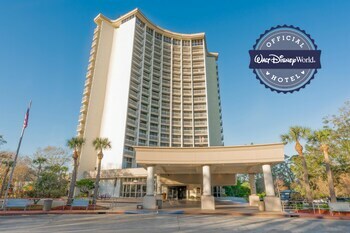 When booking your flight, be sure to check Orbitz.com for events and attractions to make your trip extra special and to take advantage of all the different activities and sights that Orlando has to offer. Los Angeles Intl. - Orlando Intl.